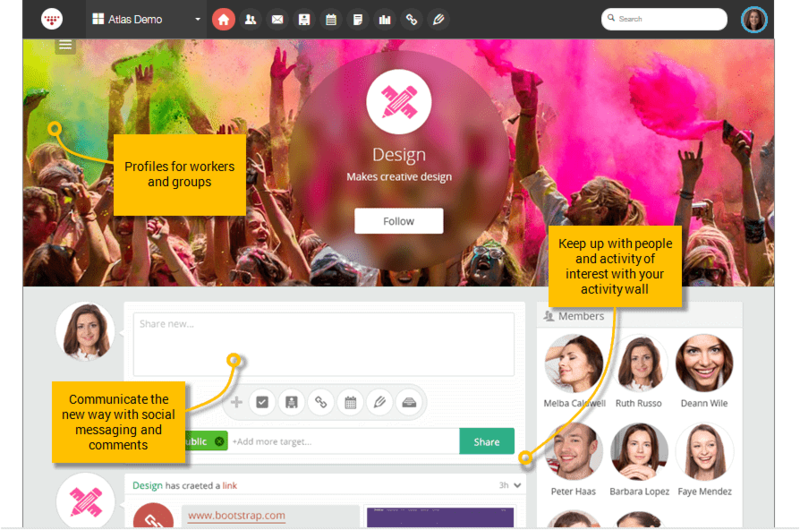 Join the digital, collaborative workplace with HyperOffice, the full suite used by thousands of teams around the world. 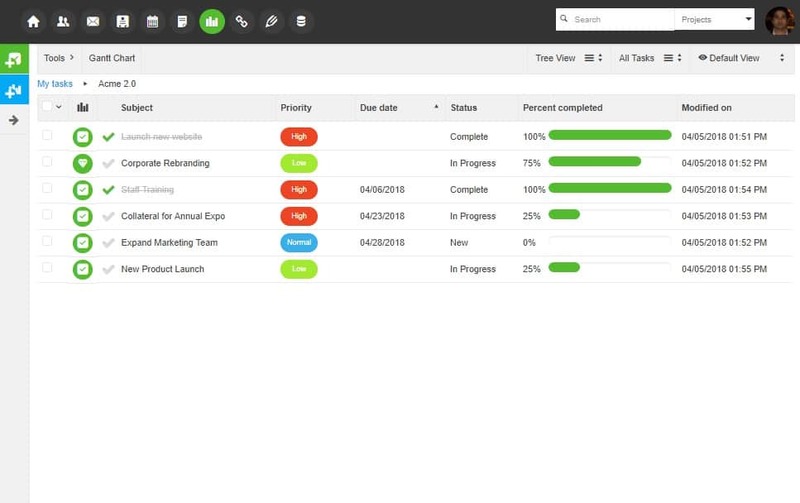 Atlas’ deep online project management capabilities allow project managers to always keep on top of team effort with features like task assignment, Gantt charts, dependencies, and milestones. All your team on the same page, literally. HyperOffice’s online work management solution lets you start conversations with your team for specific workspaces and projects, so you can discuss and get feedback quickly. ”Using the generous amount of document storage allowed, we can now keep our important project documents storage and accessible for all to use, assign tasks to individuals, share calendars, etc. for a very reasonable monthly fee. Where tasks in a project are dependent on other tasks, create elaborate relationships between tasks to reflect real life projects. Create a dedicated workspace for every internal or external project. It is the one stop junction for all the information and effort related to a project – project status, document libraries, collaboration, calendars, address books, wikis, forums, project surveys and much more! 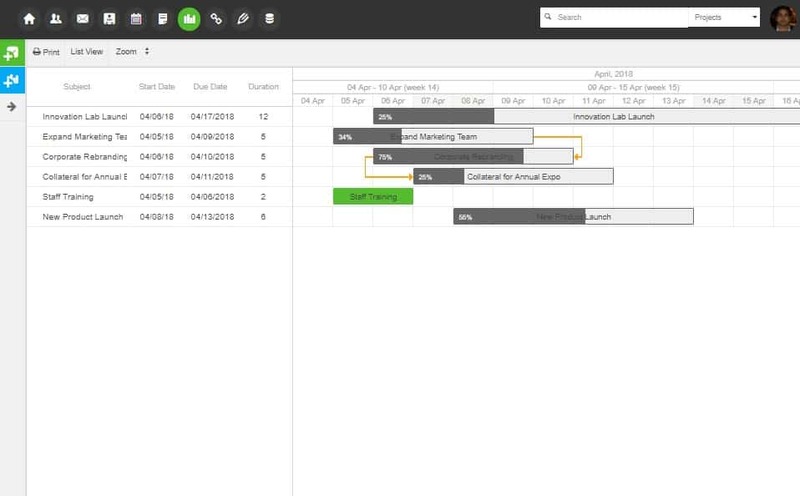 Intricately manage projects by creating tasks and subtasks, setting dates and deadlines, distributing resources, assigning responsibilities, notifying assignees and tracking progress. To do lists give everybody a bird eye view of tasks completed, tasks outstanding, tasks further assigned by them and their status. Get a quick visual overview of projects with Gantt Charts. Reorganize tasks and modify timelines by simply dragging and dropping them on Gantt charts. Provide every team member with a dedicated virtual workspace with the right tools to manage all information and project tasks – mail, personal document library, to do lists, calendars, contacts, reminders and more. Store all documents related to a project in one place. Enable real time collaboration on project documents by teams using versioning, document locking, audit trails, commenting, change notifications and more. HyperOffice includes a plethora of other online collaboration tools you can use to enhance the working of project teams – discussion boards, project surveys, calendars, address books, team wikis, chat, news feeds, announcements and much more! 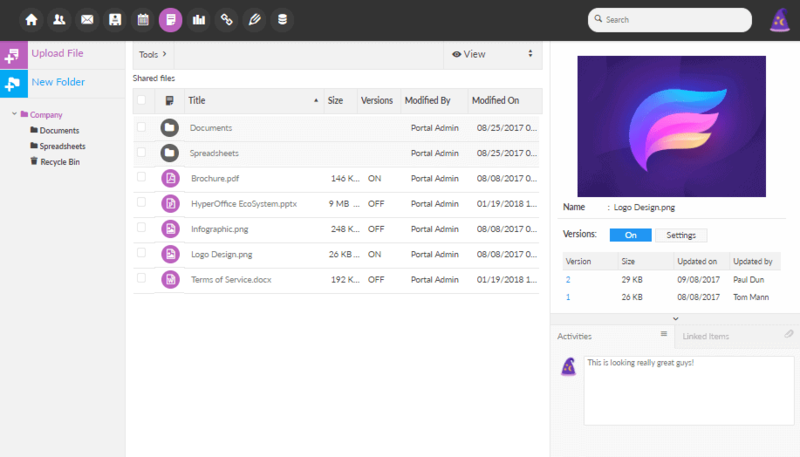 Easily tailor the color scheme, layout, organization and tools for each project workspace. Impress partners and clients by branding external project workspaces. Sign up today. Get a free demo!